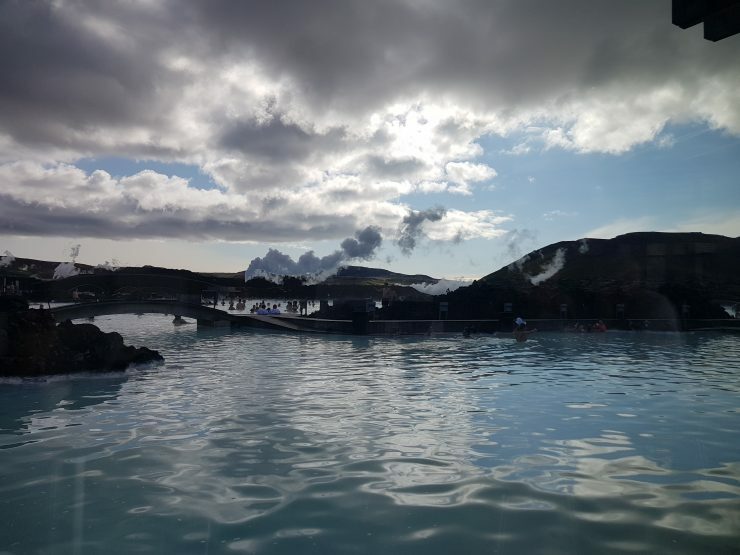 Blue Lagoon Geothermal Spa, Iceland - All you MUST know! 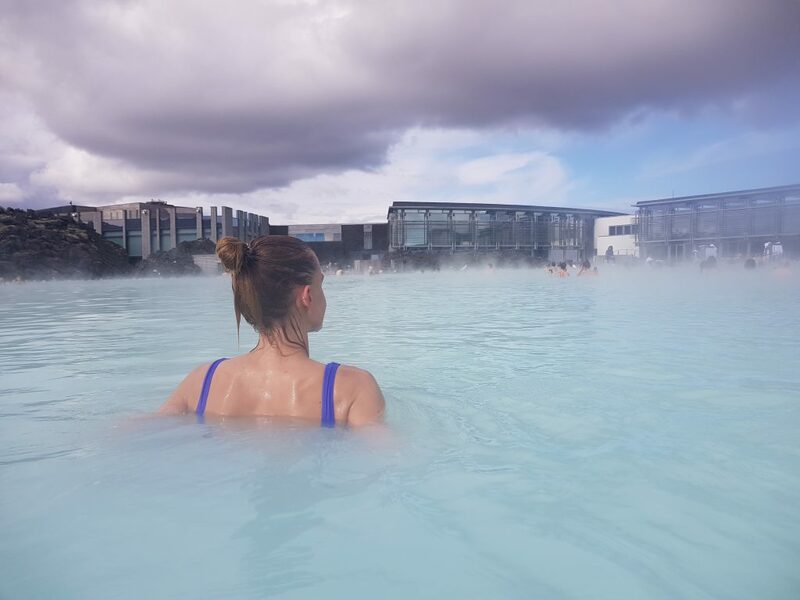 Home » Blue Lagoon Geothermal Spa, Iceland – All you MUST know! 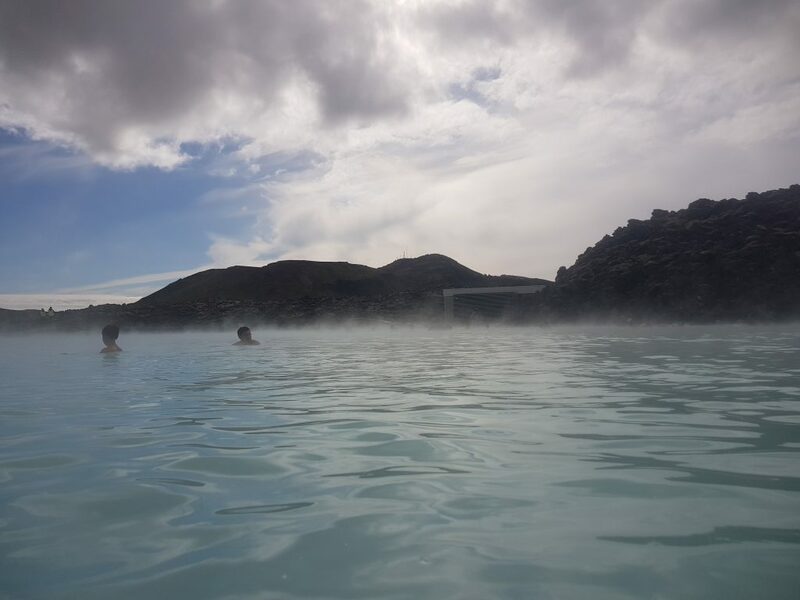 Blue Lagoon Geothermal Spa, Iceland – All you MUST know! 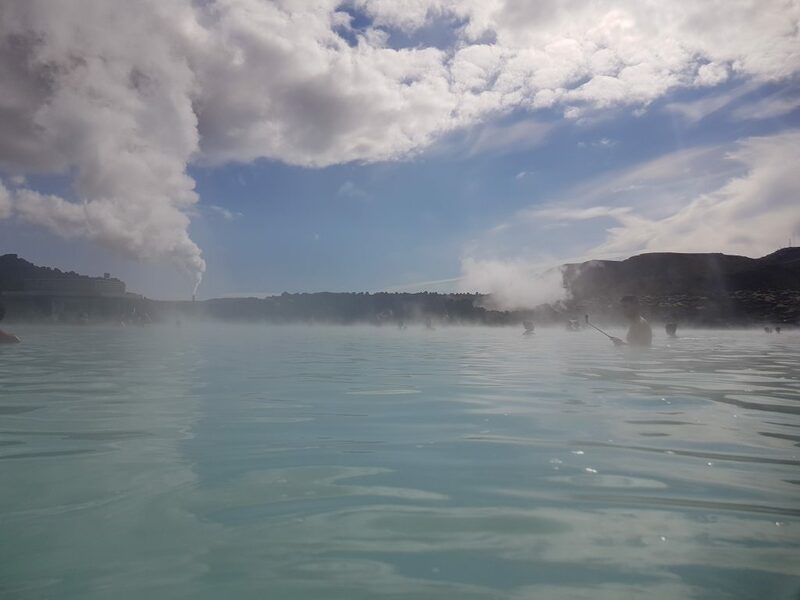 Are you planning to go to Blue Lagoon Geothermal Spa while visiting Iceland? I bet you are! 🙂 Bláa Lónið, as it’s called in Icelandic, is a world-class spa, a stunning natural wonder that gives all visitors a unique opportunity to revive the relationship with nature. In recent years, especially after an amazing performance during EURO 2016, Iceland has been an incredibly cool destination to travel to. And yes, the Blue Lagoon Geothermal Spa is one of Iceland’s most popular attractions. I guess it’s not really hard to see why – this incredible milky-blue water makes its magic. 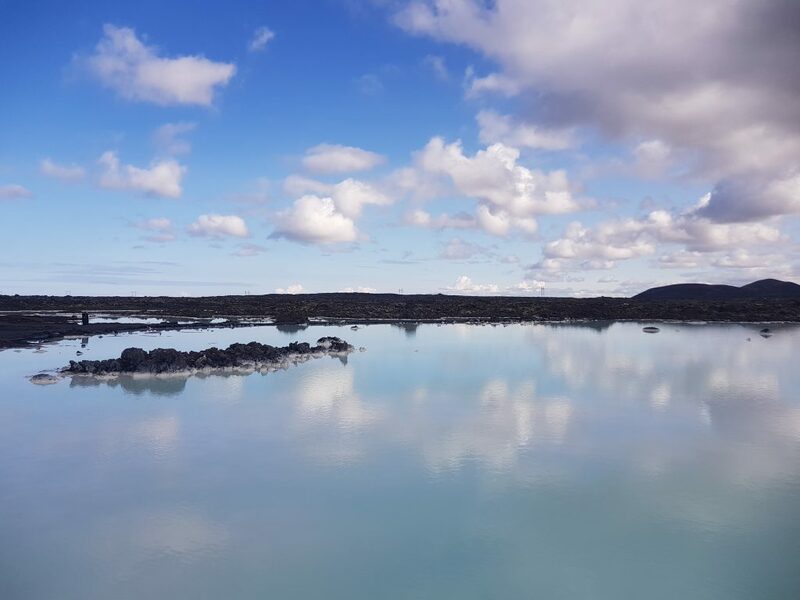 When is the best time of day to visit Blue Lagoon Iceland? This will really depend on the time of the year you are visiting Iceland. If you go in winter, you can book a time slot for late afternoon – then, with a bit of luck, you will see the northern lights while bathing in the geothermal spa. We went to Iceland at the end of August so when we visited Blue Lagoon Spa there was no chance to see the green lights on the sky. Some people are a bit confused when booking tickets online. You have to choose a time slot (e.g. 2pm-3pm) during your online booking. But this means that you have to be at the entrance, with the printed version of your ticket, between 2 pm and 3 pm. It doesn’t mean you can stay in the geothermal spa only for one hour. 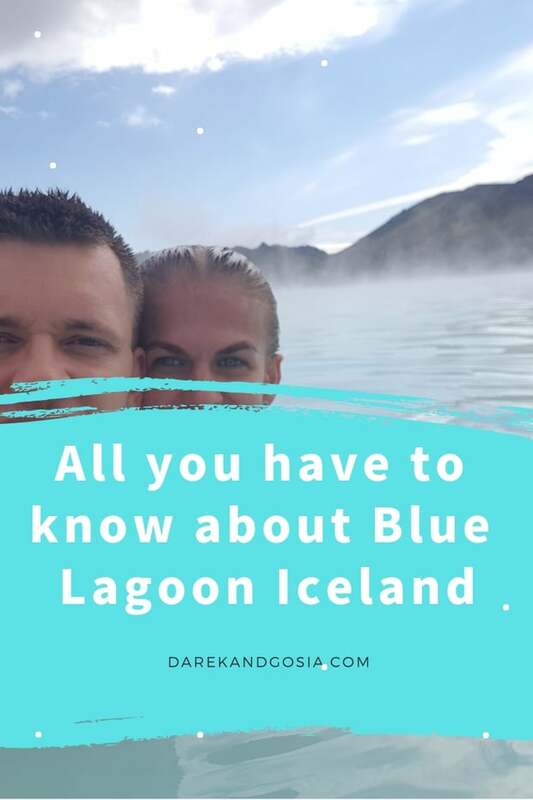 How much time do you need at the Blue Lagoon Iceland? 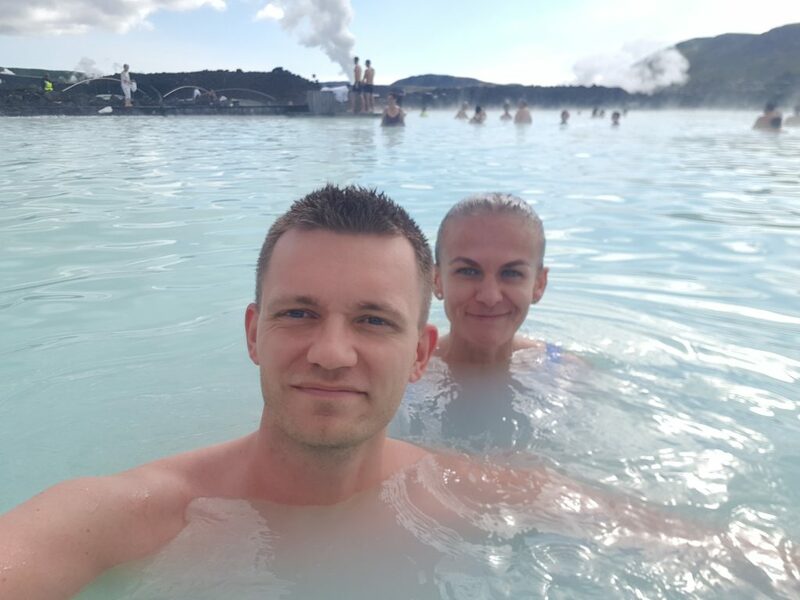 We spent just under two hours in the geothermal water – which the typical average time people spend there. But the whole experience will take a bit longer. Most probably you will stay for a coffee at the Blue Café or lunch/dinner at LAVA restaurant. No matter how long you will stay in the geothermal water, make sure you are well hydrated! You will get one complimentary drink, which you can have while in the water, and then you can buy more if you fancy. Don’t worry about money – you will pay with your bracelet at the exit of Blue Lagoon Spa. Does the Blue Lagoon Spa ruin your bathing suit? Well, the official website will say that the water from Blue Lagoon will not ruin your swimsuit. But… unfortunately, I had some permanent stains which I couldn’t get rid of after a few washes. If you have a very expensive swimsuit it could be a good idea to leave it at home and take an old one with you to Iceland. Is the Blue Lagoon Spa bad for my hair? The silica from the geothermal water will not harm/destroy your hair. The only negative effect might be that your hair will become stiff and not easy to manage. Having said that, you will get complimentary (unlimited!) conditioner, which you can apply on your hair after the shower. It will protect your hair while in the Lagoon. How much is the entry to Blue Lagoon Iceland? First, do remember to book your ticket online! This place is always very busy so don’t count on your luck! You can be 100% sure you will not soak in the geothermal water if you think to get the ticket on the day. The price of your ticket will depend on the package. If you are not a spa-master and just want to visit the lagoon for experience (and to cross off another position on your bucket list) go for the comfort package (it includes the use of a towel, Silica Mud Mask and one drink of your choice). So, your next question should be: why there are price brackets for the Blue Lagoon packages? Well, the bad news is that you will most probably end up paying the higher price of each bracket! 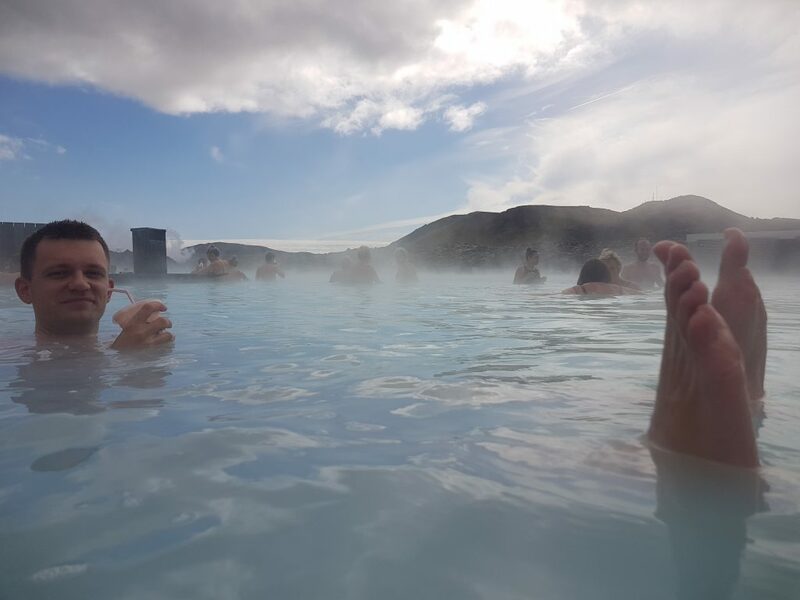 Is there a time limit at the Blue Lagoon Iceland? 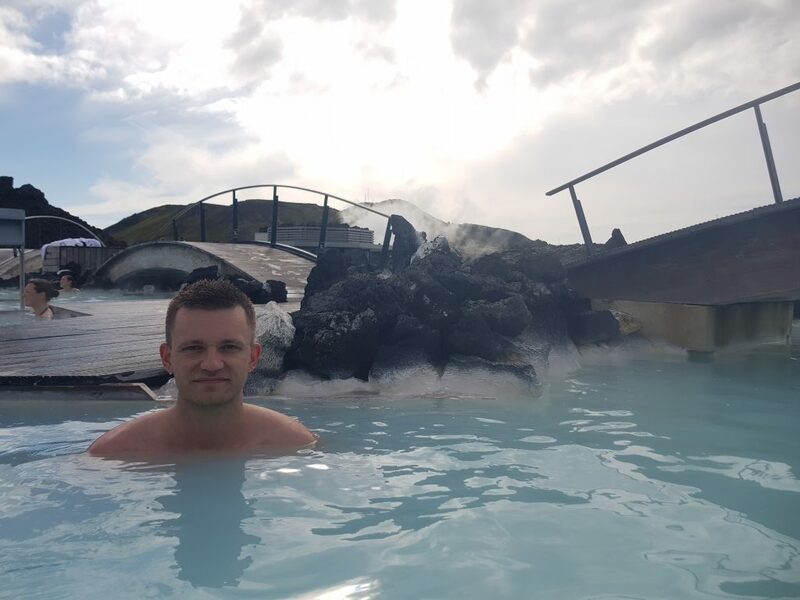 How deep is the water in the Blue Lagoon in Iceland? The Lagoon is not really deep – the shallowest area is 0.8m (2.6ft) and the deepest is 1.80m (5.9ft). How far is the Blue Lagoon Spa from the airport? Woohoo! There is only 23 km from Keflavík Airport to Blue Lagoon Spa, which makes this attraction a great starting point when visiting Iceland. 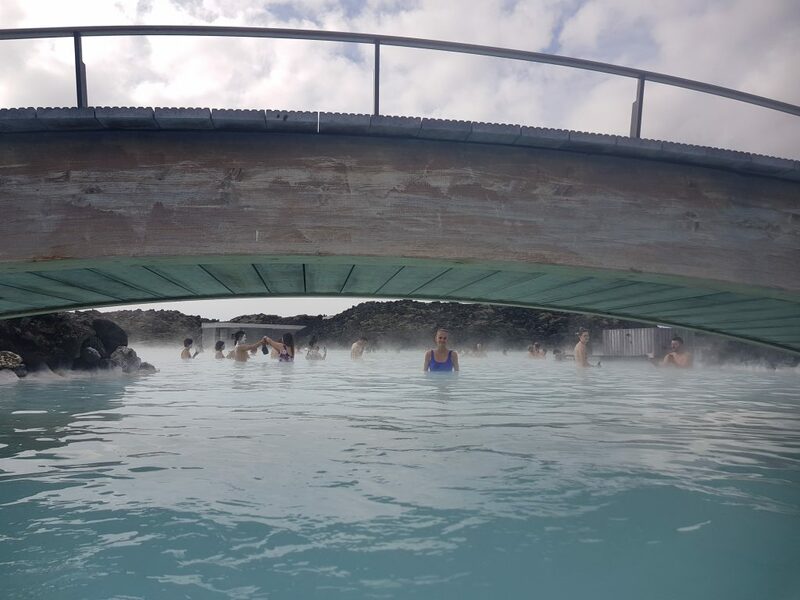 Is the Blue Lagoon Geothermal Spa natural? A lot of people think that the mineral-rich geothermal lagoon is a phenomenon made be mother-nature. But you have to know that is not – it’s a man-made beauty! But the milky-blue water is actually a run-off from a geothermal power plant. I’m really sorry! I know, we are very disappointed now! Is the Blue Lagoon water cold? Oh no! It’s pleasantly warm. To be honest, after around 2 hours in the warm geothermal spa water you might start feeling a bit tired as you will start cooking slowly 🙂 Just make sure you grab another drink from the bar. 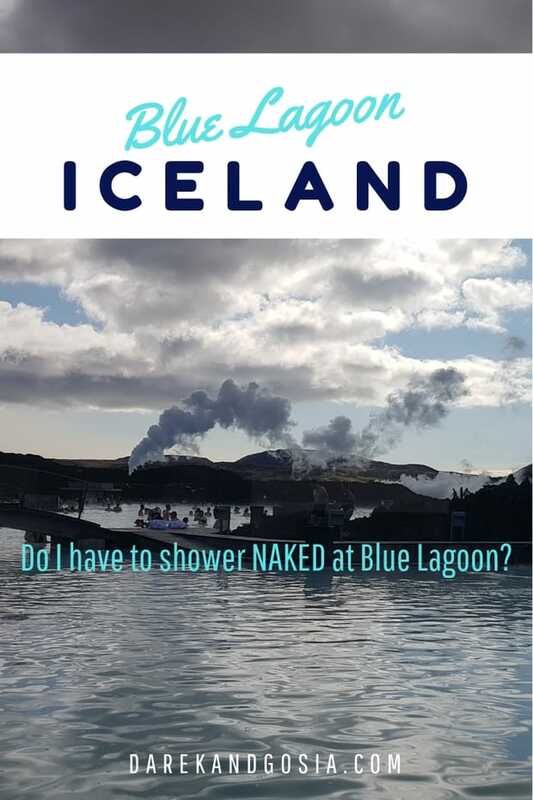 Do I have to shower naked at Blue Lagoon? YES, you have to! That’s what the signs will tell you. But to be honest, there is absolutely nothing forcing you to shower without a bathing suit on. Yes, there are few signs telling you do that but that’s all 🙂 The security person will only make sure you use the shower before entering the main attraction. Don’t fancy being naked surrounded by strangers? 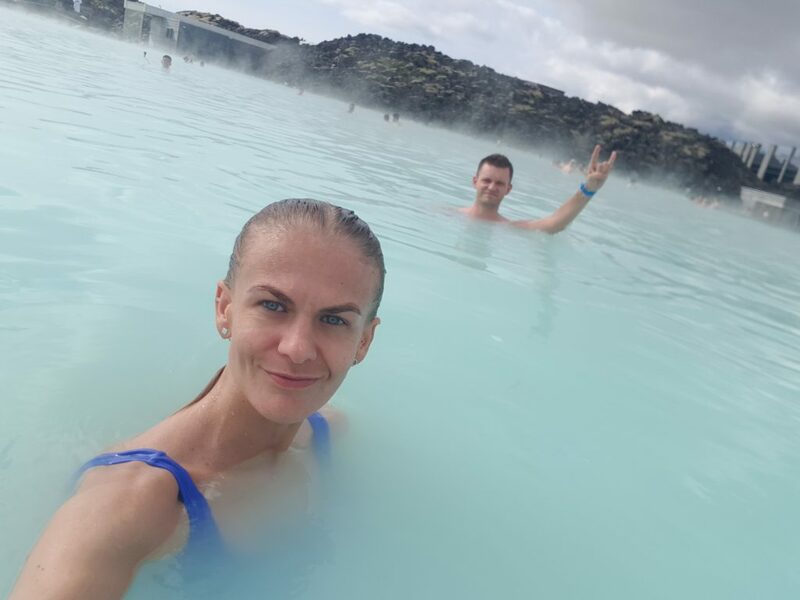 Is Blue Lagoon Geothermal Spa in Reykjavik? The geothermal spa is situated on the Reykjanes peninsula in southwest Iceland. The capital of Iceland is located around 49km (30miles) from the Blue Lagoon Spa. It will take you around 40 minutes by car to get there. Where was The Blue Lagoon filmed? If you are old enough – sorry Millennials you are still kids 😉 – you probably hope that the movie from 1980 was made in Iceland, right? But it was not filmed there! In fact, you would have to book a trip to Malta and Fiji if you would like to follow the paths of the young couple from the American romantic survival drama. 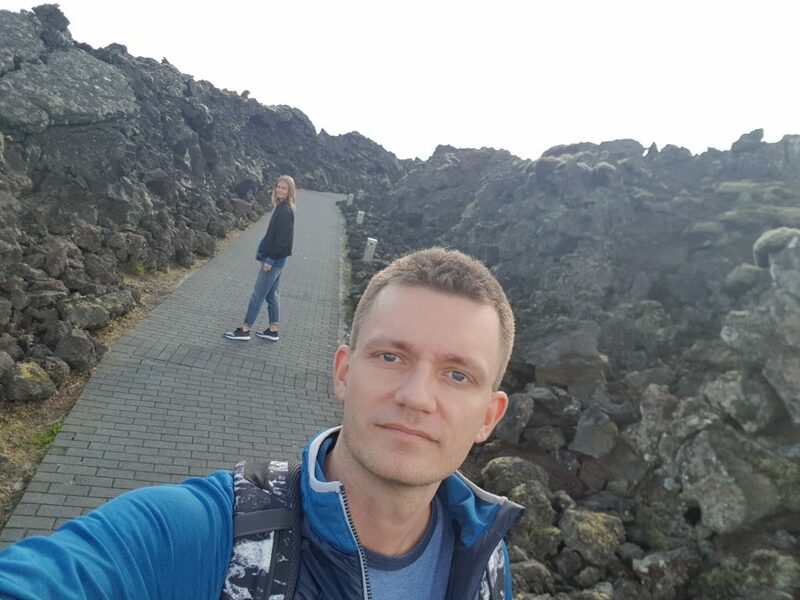 What else should I do in Iceland? 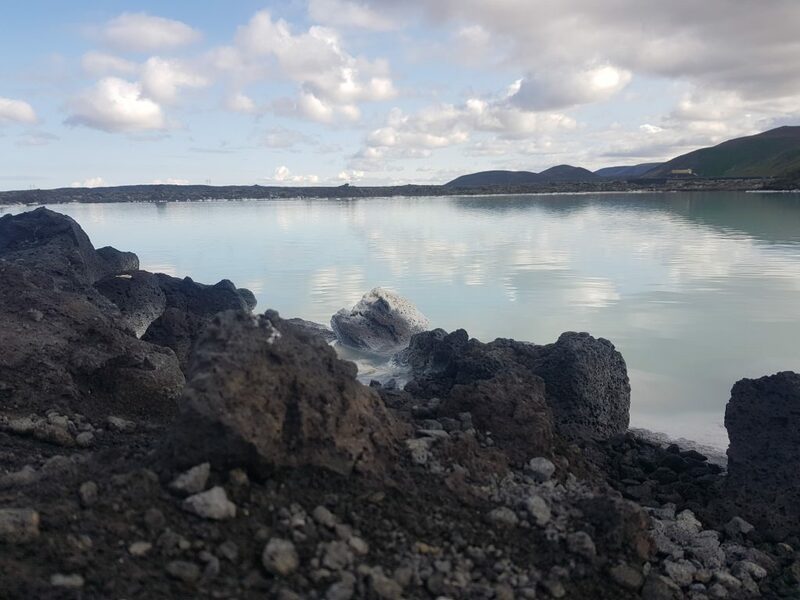 There are many other things to do in Iceland, but due to its proximity to the airport, Blue Lagoon Spa should be the starting point of your adventure in Iceland. 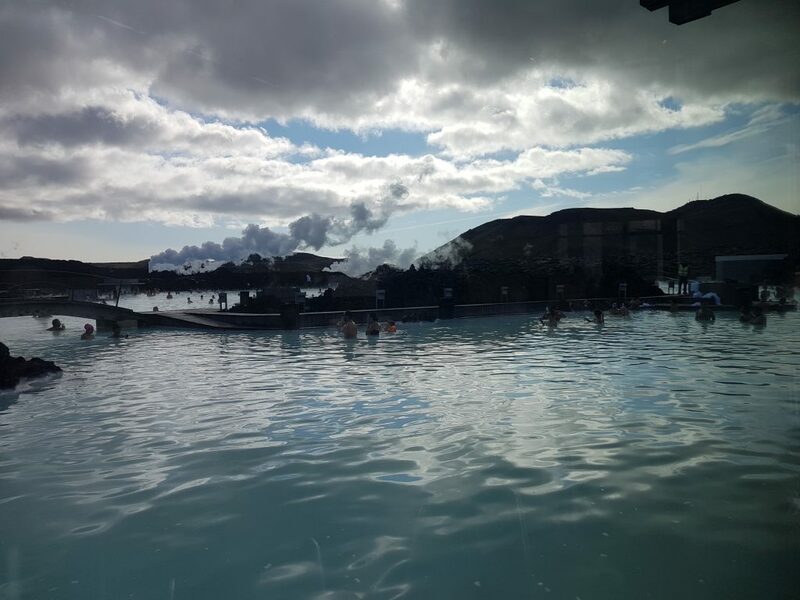 Is Blue Lagoon Geothermal Spa worth it? 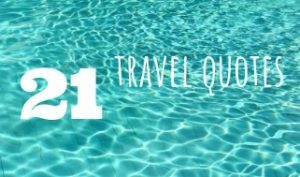 … just ask yourself: would you visit Park Güell in Barcelona, Swim with dolphins in Portugal or Drive up Grossglockner High Alpine Road in Austria? All the attractions are the highlights of its region. And yes, all of them are unfortunately paid. So, just think if you have enough space on your wall to hang a picture like the below. And then, answer the question 🙂 At the end of the day, this is one of the most romantic places to visit in Europe. TIP: Check out hotels near Blue Lagoon Iceland – note that many are often fully booked! So, do check before planning your trip! Reynisfjara beach, Iceland – a new standard of a beautiful beach! How to feel like a VIP [for a moment] on the French Riviera? 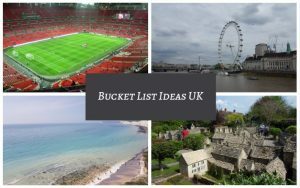 SPAIN: Best Places to visit & Things to do! Tulips bloom – When is the best time to visit Keukenhof gardens? Eibsee, a lake in Bavaria, Germany – the #1 lake in Bayern! 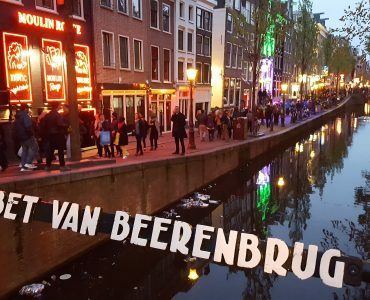 What to do in Amsterdam in 3 days – Best Places to visit & Things to see! 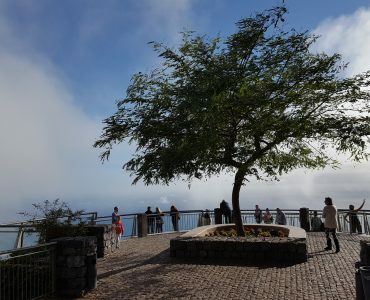 Unusual Things to do in Madeira – AMAZING Island of Eternal Spring! 21 Unusual Things to do in Tenerife: Top Attractions & Places to visit! Most romantic places in Europe – fell in LOVE with (in) Europe’s Top 30! 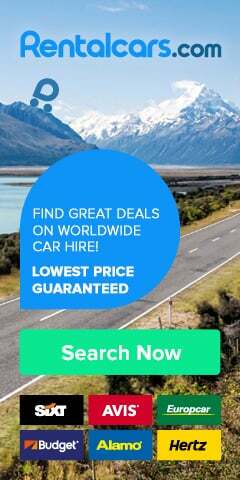 Renting a Car in Europe – How not to get fooled by Car Hire Companies! 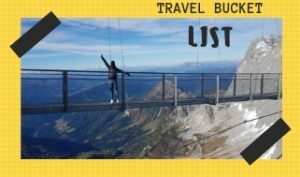 Is Hallstatt Austria worth to visit or is the Town a tourist TRAP?